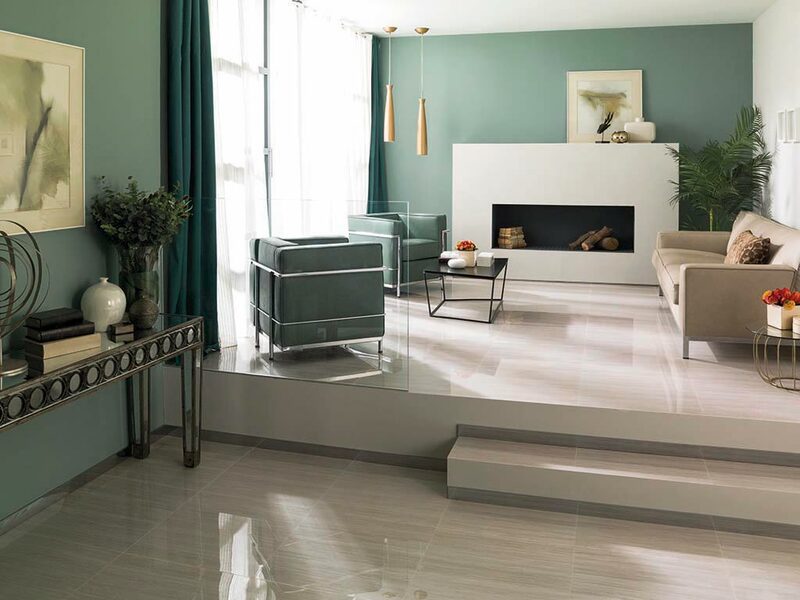 The refined classical style of interior designs in the first half of the 20th century, is now in fashion in 2015, and more than ever before. 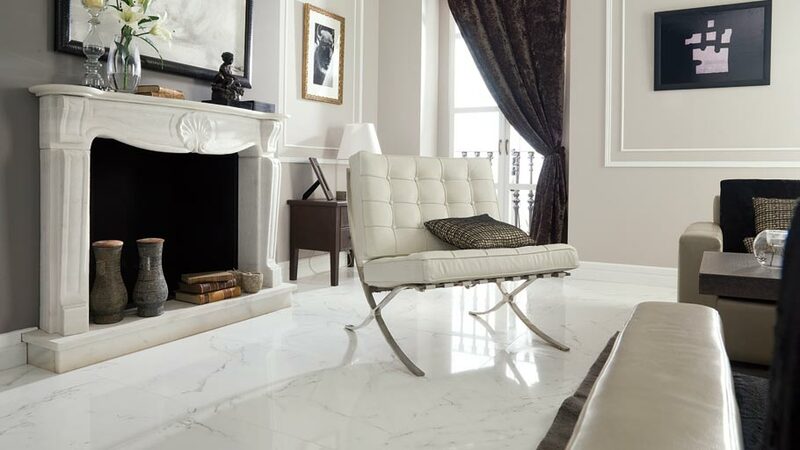 And it is in this traditional authentic classicism where some sophisticated materials like marble play an important role. 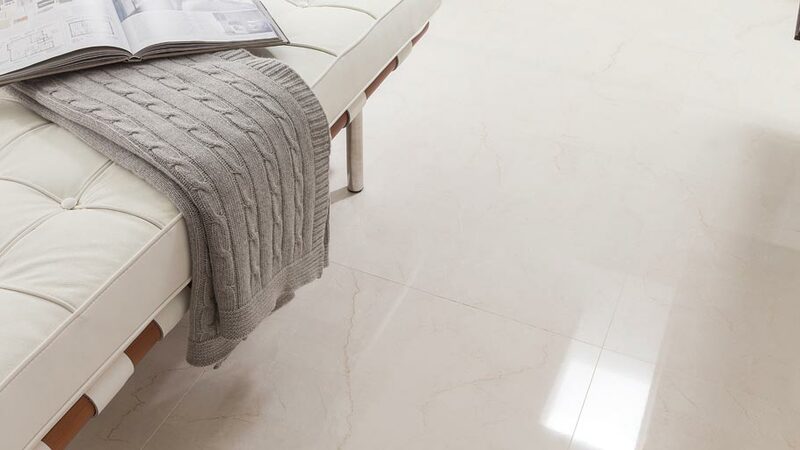 It is a renovated classic which is having a stronger impact than ever before, for being installed both in floor tiles and in the most demanding of elegant wall tiles. 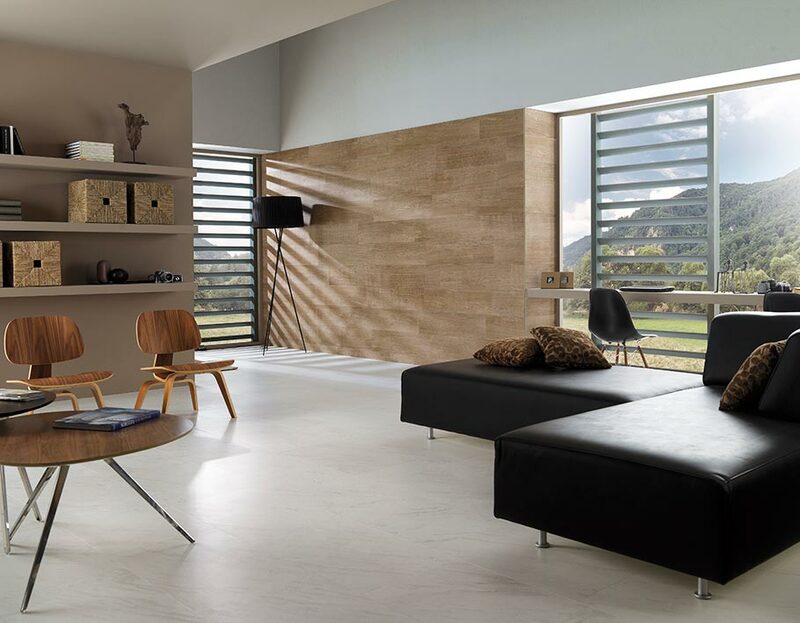 Following the trends in interior design and by highlighting the authenticity and purity of its natural materials, the PORCELANOSA Grupo firm, L’Antic Colonial, reinvents itself in order to offer a new series of its natural stones in its catalogue of products and materials. 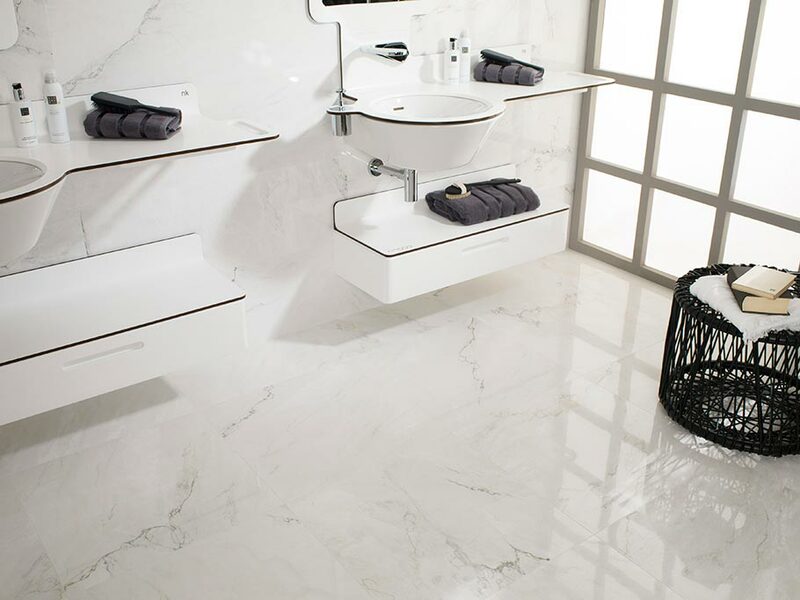 These new series range from slates and quartzites to the latest designs in marble. 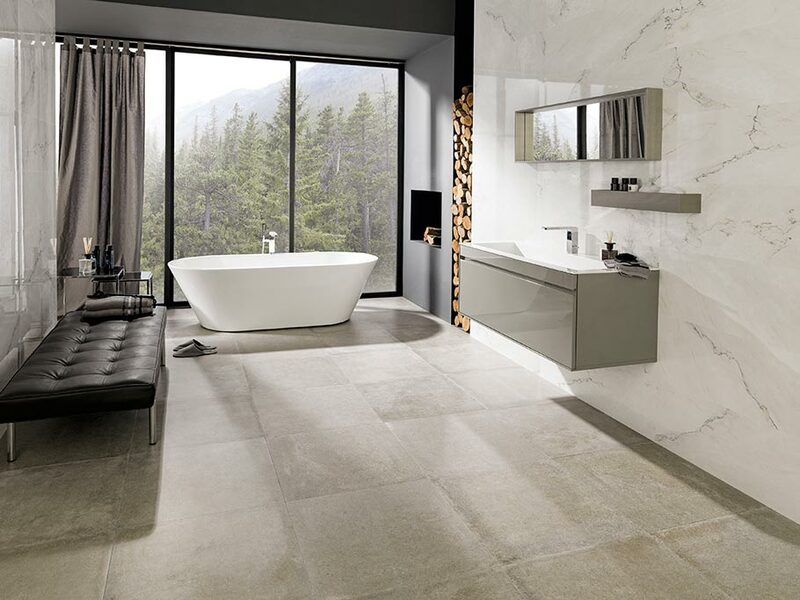 Whilst showing off that timelessness and particular conservative beauty which are typical of the marble series, L’Antic Colonial includes the new following stones: Blanco Andes and the Kayak Beige, as well as the design which was presented at Cersaie 2015: Habana Grey. 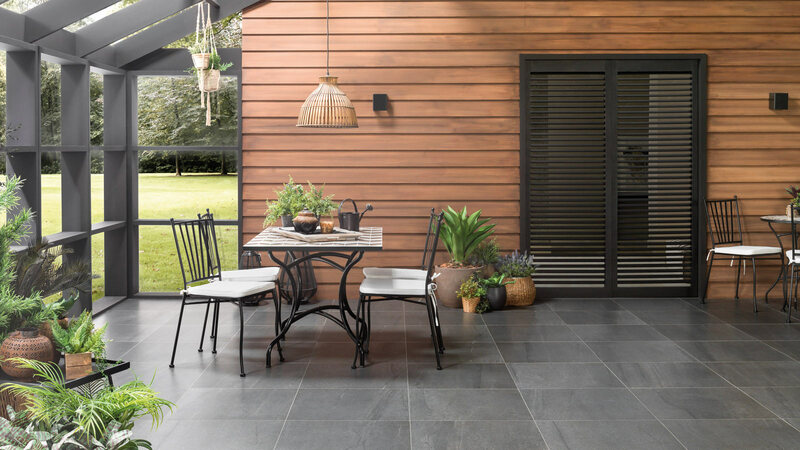 The latter, consisting of an Asian grey marble was designed to complete the colour range of the Habana series, thus, adding to those already consolidated Habana Brown and Habana Dark marbles. 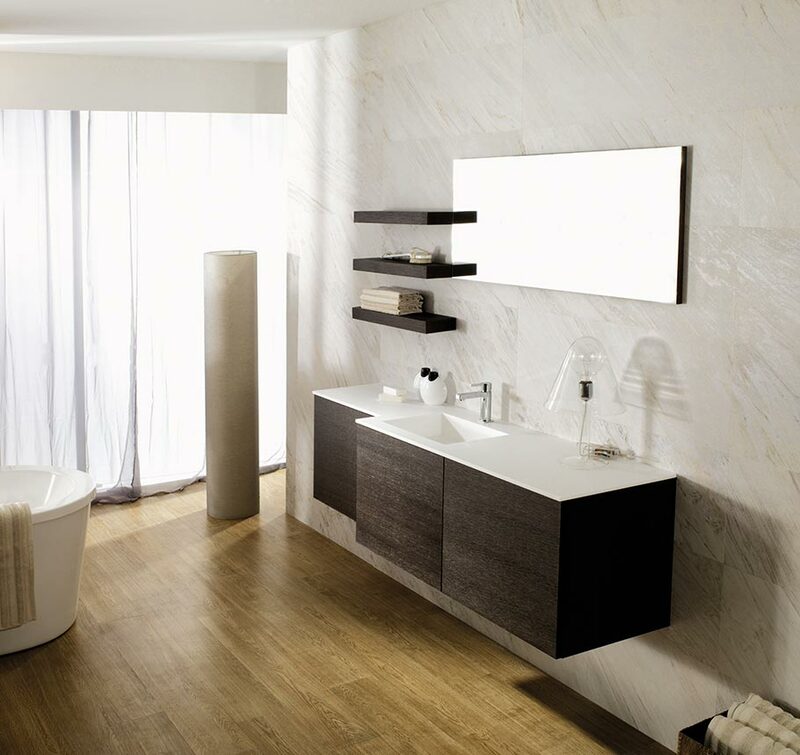 The firms, Porcelanosa and Venis, set out their choices in marble, which are able to impress and fill any room with luxury and beauty. 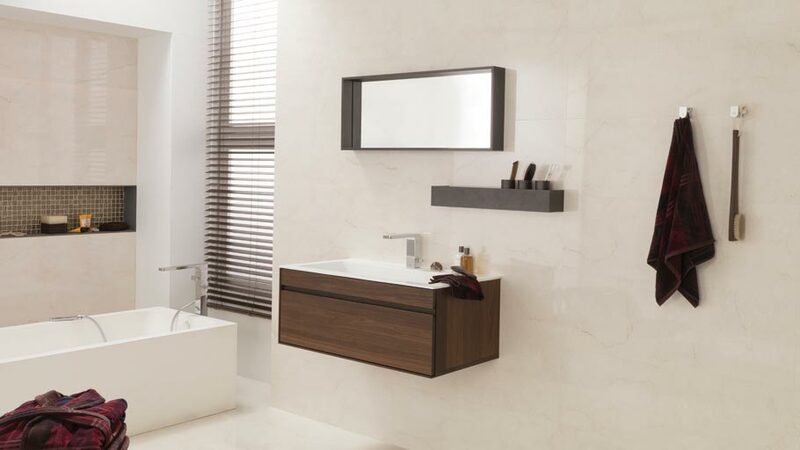 In this case, their designs combine the elegance and the pure aesthetics of the natural product together with the inherent advantages that the ceramic tile offers: low porosity, easy-cleaning properties, low maintenance and treatments, and stain-resistant; furthermore, it is easy to be transported and installed on-site in any type of architecture and interior design project. 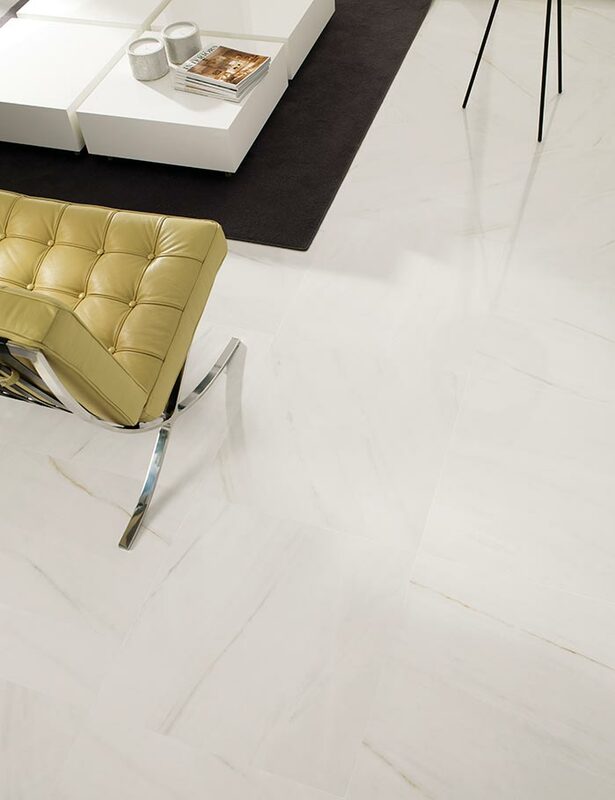 Porcelanosa proposes, in a tribute to the classical origins of marble, a porcelain tile which has been inspired by the traditional Carrara marble, the one used by some renowned artists in order to carry out their sculptures in ancient times. 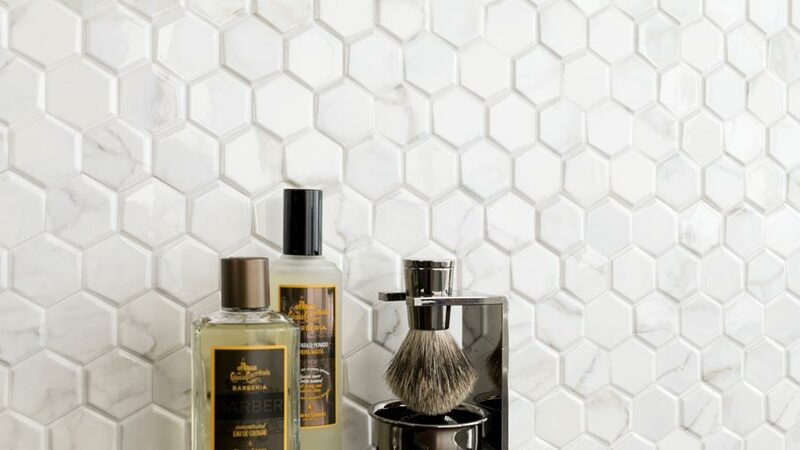 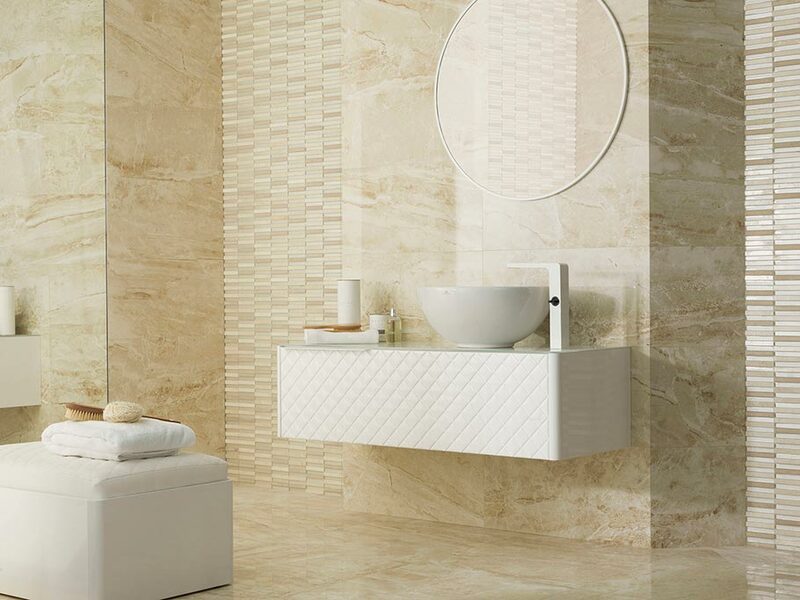 To the Porcelanosa series of Gloss Carrara, which is characterised by a light sober background highlighted by grey veins, the latest Forest Carrera mosaic is now added, in other words, a wall tile imitating traditional marble through a set of hexagonal pieces. 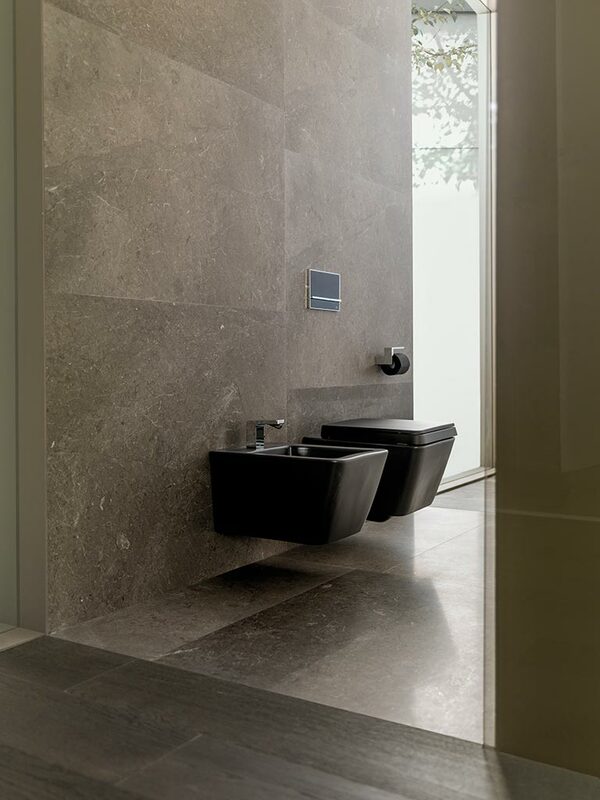 Both ceramics can be combined together, thus providing an extra dose of seriousness and subtleness. 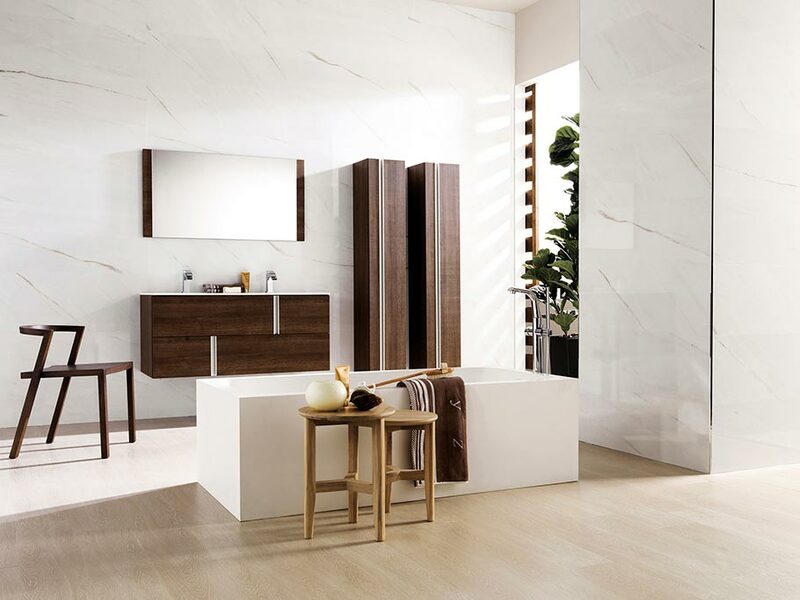 These new changes regarding Porcelanosa marbles also goes hand in hand with its ceramic tile with Olimpo marble appearance. 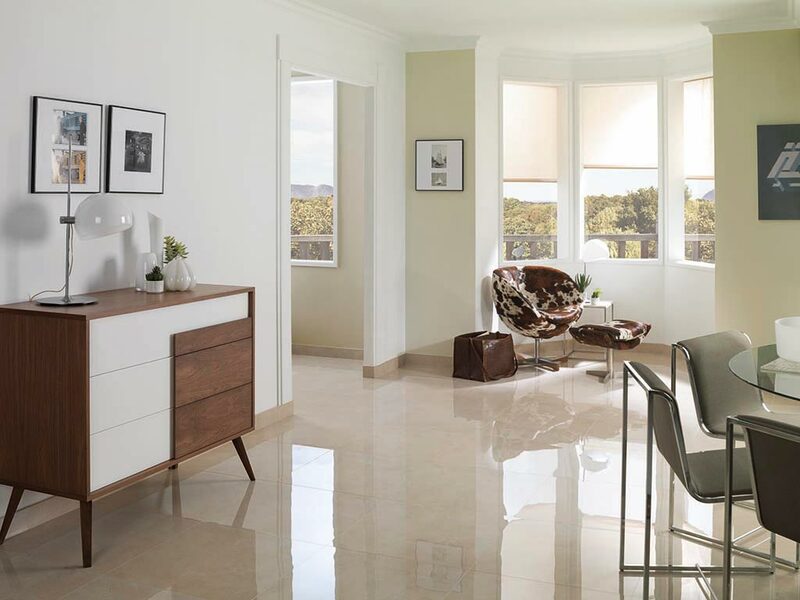 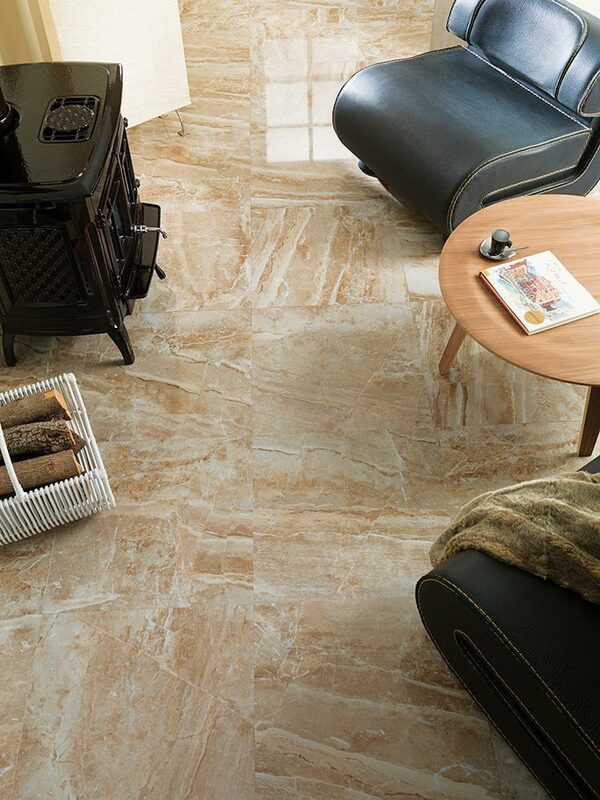 It consists of a neutral timeless ceramic design, together with a warm touch in beige, and with high gloss finish. 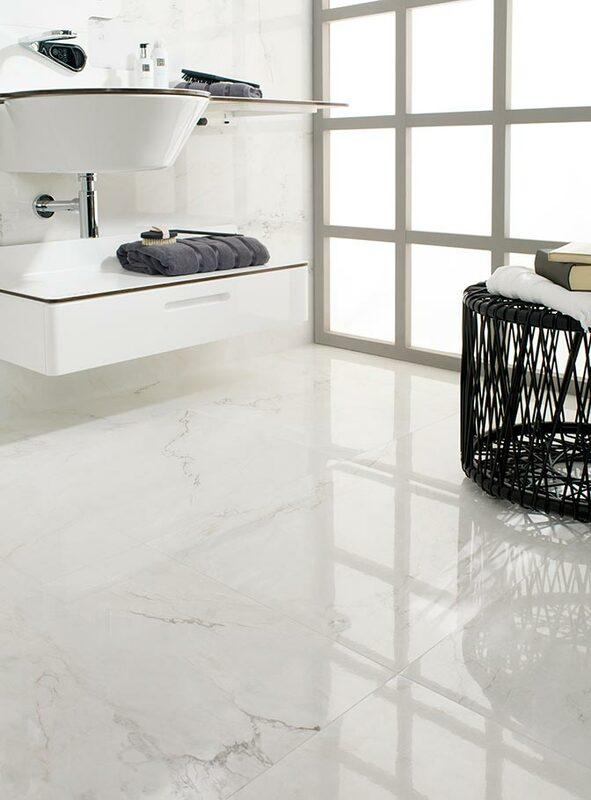 On the other hand, Venis, also imitates Carrara marble, but by means of its Bianco Carrara ceramic floor and wall tile in a gloss finish. 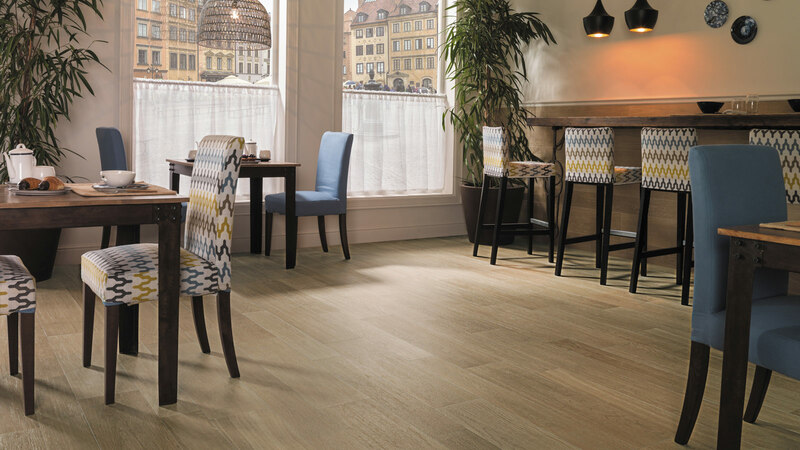 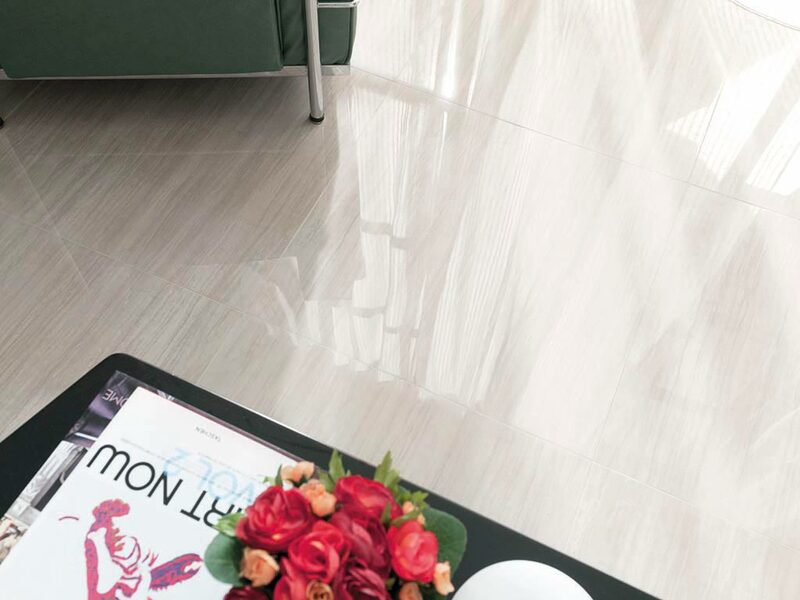 Similar, but with much more subtle veins, we can find Lassa ceramic tile, which turns out to be a captivating option regarding interior design. 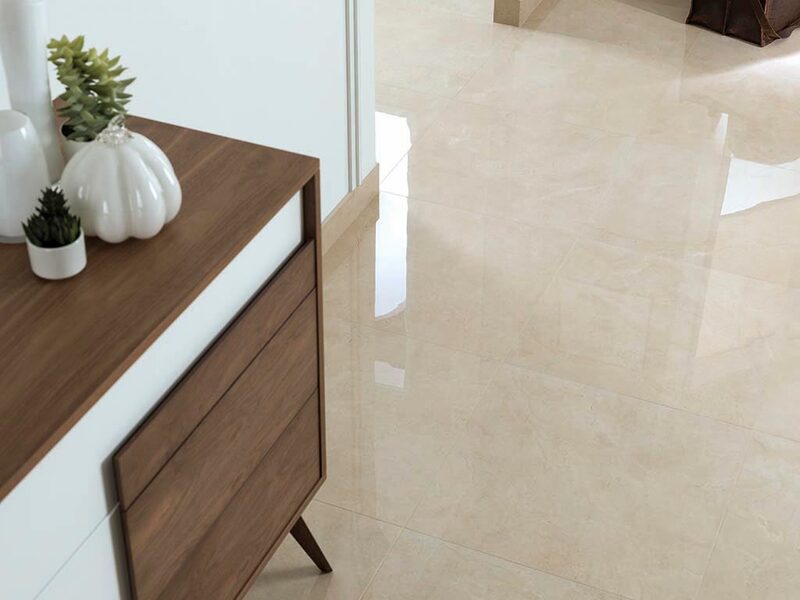 Providing the warmth and cosiness of the cream tones, Venis also proposes its Cappuccino ceramic series, that is to say, an exquisite option as well as being full of style. 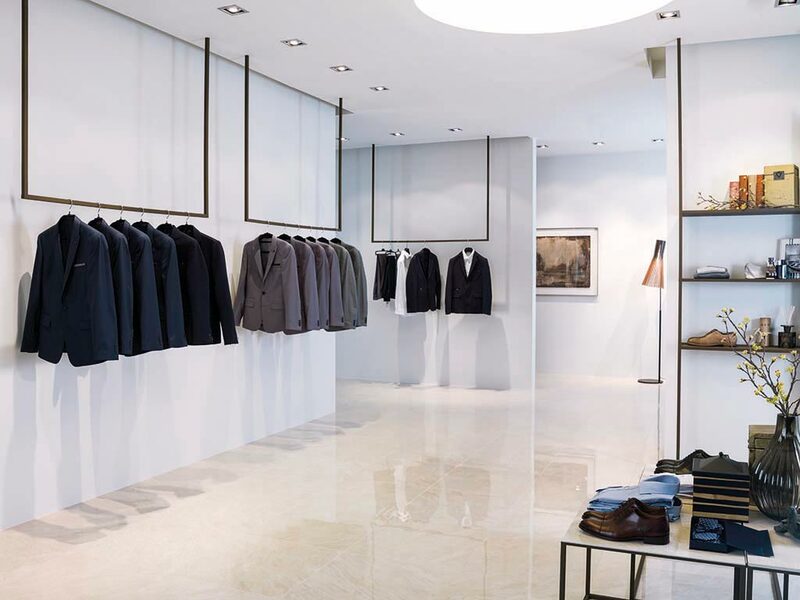 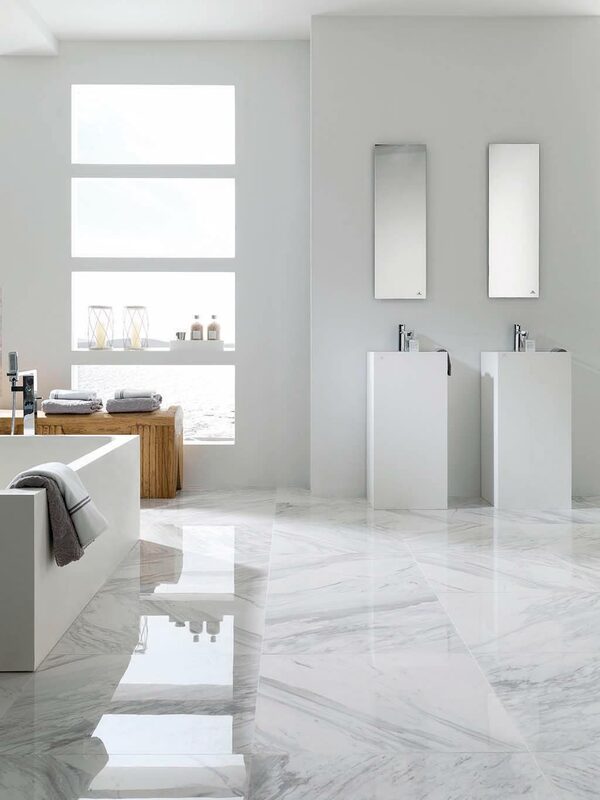 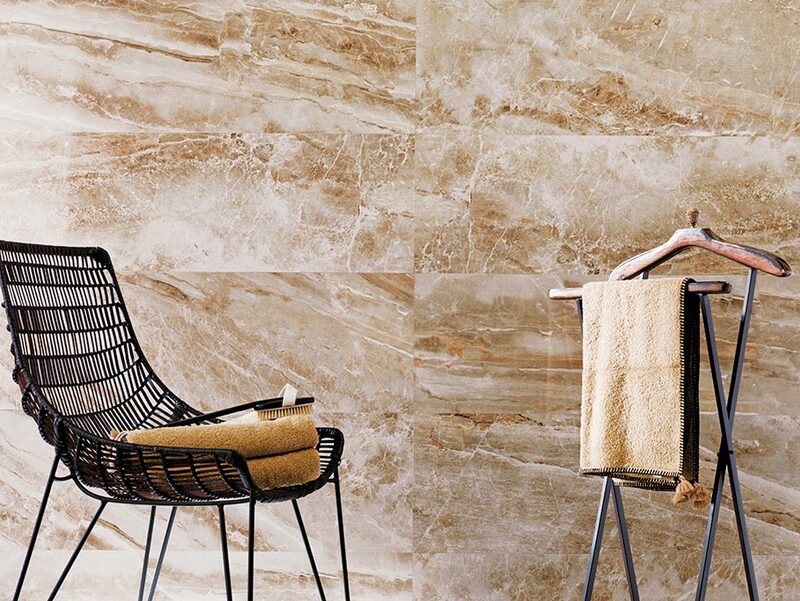 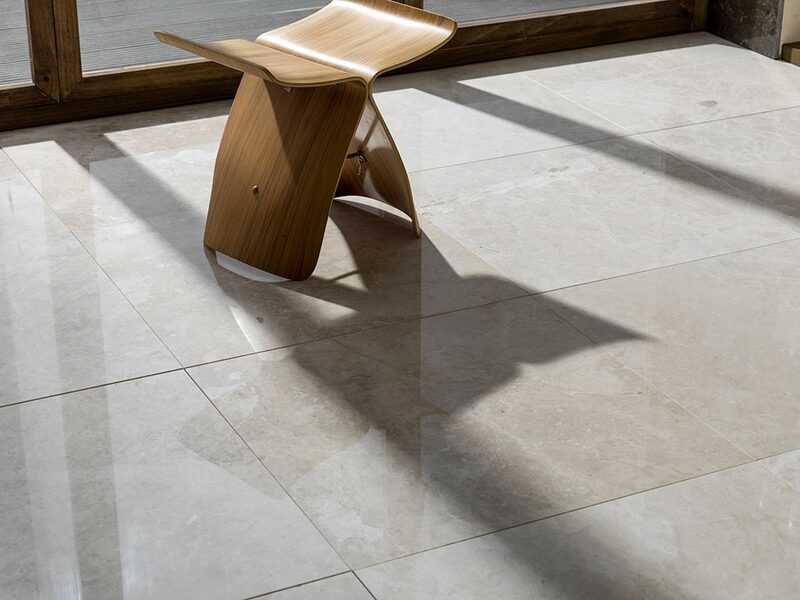 The high demand of some projects with a need of high durability and high traffic has taken the PORCELANOSA Grupo firm, Urbatek, to include marble designs in its catalogue of large-format through-body porcelain floor and wall tiles. 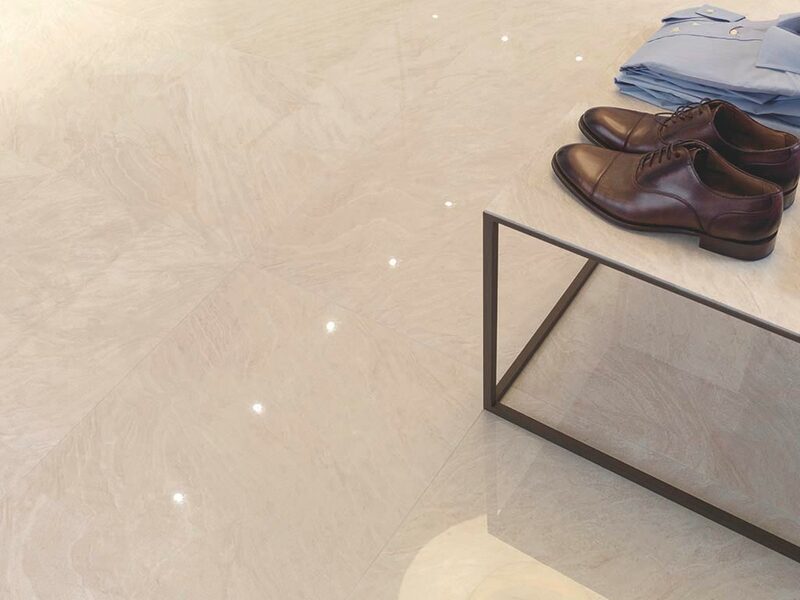 At Cersaie 2015, the International Exhibition of Ceramic Tile in Bologne, where Urbatek presented the innovative avant-garde SOUL Marble Gallery, a selection of six marbles with unique colour and graphic features: SOUL White, SOUL Frost, SOUL Cream, SOUL Stone, SOUL Sand y SOUL Bone. 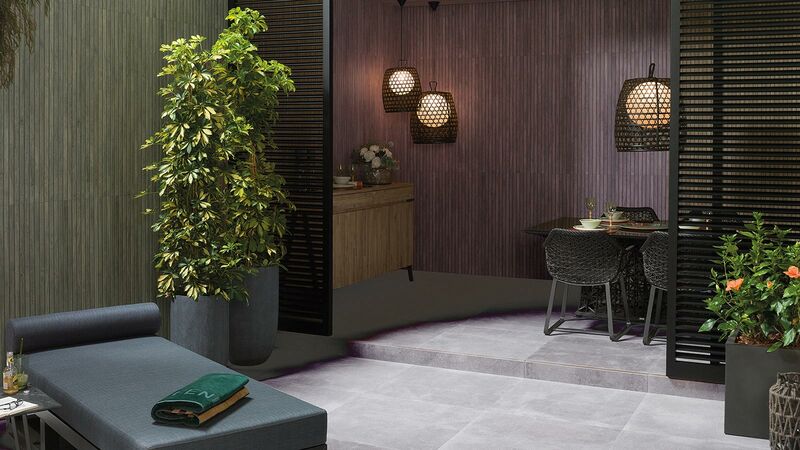 There can be no doubt that these floor and wall tiles can be adapted to any space, and furthermore, make it turn into a unique exceptional one. 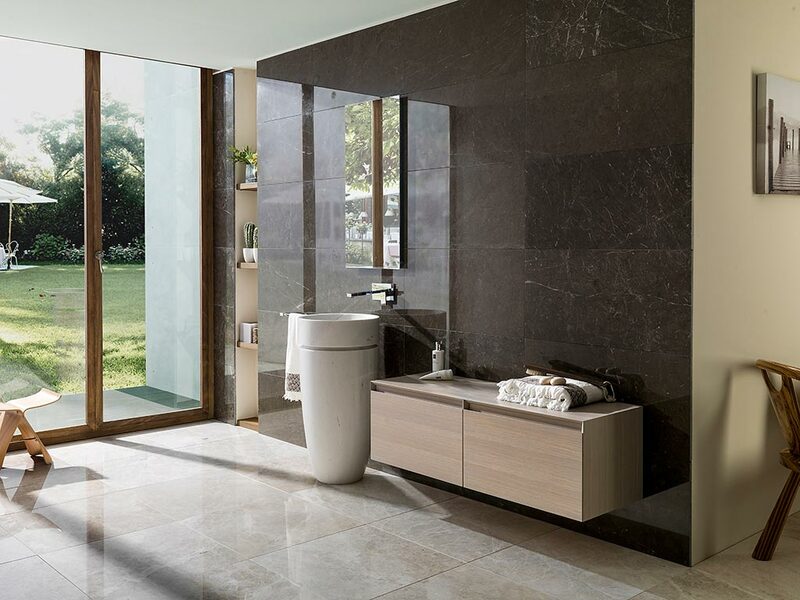 Designs which turn out to be a tribute to the past, but they masterfully intermingle with the most modern avant-garde interior designs.